It is interesting that the author did not accept the obvious conclusions. That Strzok did let his anti-Trump bias affect his work product. That Comey changed his Clinton report with Strzok’s help to alter 2 words to allow a non criminal conclusion against Clinton. That the Inspector General’s (IG) report clearly said Strzok’s own texts showed clear bias but that bias did not affect his work product. 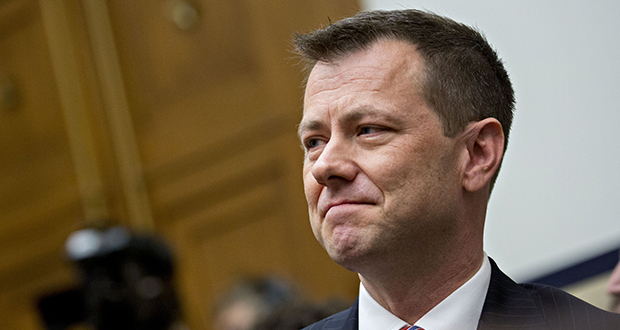 Unfortunately the reason for that illogical conclusion is simple – if the IG did conclude Strzok’s bias affected his work product, then the Clinton email investigation would have to be reopened and the appointment of Special Prosecutor Mueller to investigate Trump’s collusion with the Russians would have to be disbanded. And who knows what other work would have to be thrown out. All fruit of the same rotten tree. Finally maybe now there is light on the FBI and some leadership efforts to control our political processes. Let the truth take all Americans to a better, more open & honest future. Exciting and better times ahead.